Information about the Rottweiler. Rottweiler Breeder and Rottweiler puppy information. Raw Prey Diet information. Von Der Musikstadt German Rottweiler breeder is a small code of ethics Rottweiler breeder located in Whites Creek, Tennessee. 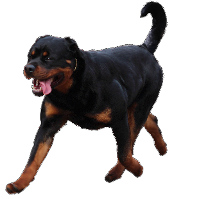 Our sitemap page has links that offer German Rottweiler puppies for sale, German Rottweiler youths for sale, and German Rottweiler puppies for sale. Sometimes we have references from other Rottweiler breeders located in other states. 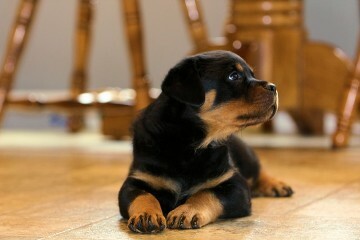 Our Rottweiler puppies are on our litters page. We also have a Rottweiler puppy gallery and wallpapers of rottweiler pups for your computer. We feed our dogs the Prey Raw model diet. Please read the information we offer about feeding a raw diet. We also offer information about the rottweiler regarding coccidia, giardia, demodex mites. We would be very happy if you visit our home and kennels. We are confident you will love our Rottweilers temperment, structure, bone, substance, and very large head type.